Indigenous breed, probably descended from Garessio. 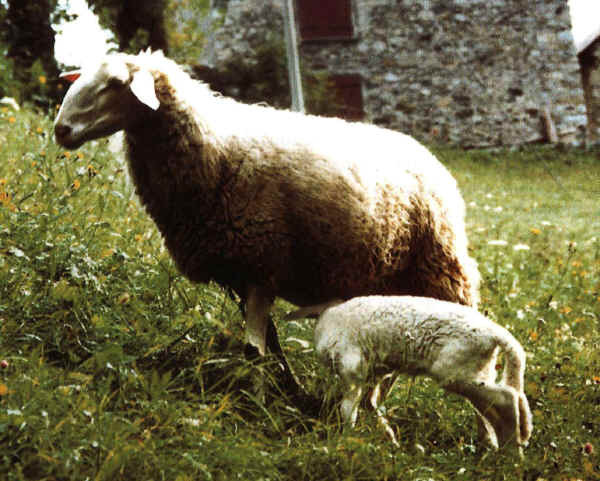 Sheep of this Italian breed are found in southwestern Cuneo Province (Piedmont), in the valleys of the rivers Bagni, Stura di Demonte, and, formerly, the Maira. The elevation of the valleys is from 1.300 to 2.000 metres, with snow on the ground four to five months of the year. The colour is yellow-white; about 8 percent of the breed are dark brown or black. The profile of the head is slightly convex; ears are horizontal and small, and the tail thin and hanging to the hocks (Fig. 10a). Both sexes are usually polled; however, rams with small horns are considered locally to be the “purest” representatives of the breed.